This is a particularly important marketing tool for law firms. Your law firm is likely to deal with a range of cases that involve people in one particular city or state or across the U.S. With online marketing your law firm can target people specifically within the geographical area that applies to that particular case. The other great thing about law firm online marketing – and pay per click marketing in particular – is that you can design different online marketing campaigns for different services that the law firm offers. You can also design law firm online marketing campaigns for specific cases. With other forms of law firm marketing, this is not so easy. If you were to pay for a television advertisement, for example, you are likely going to market all the services that the law firm offers rather than designing separate advertisements for each feature of your law firm because of the expense. This is less than ideal. For example, if your law firm wants to market the services its divorce lawyers provide as well as those of its personal injury lawyers, you may not want to market them side by side in the same campaign. Law firm online marketing is a means of achieving that, while talking directly to your potential clients rather than the general public. It is much more effective than e-newsletters or word of mouth. You cannot rely on people to talk about your law firm with other people who might require your legal expertise. But you can rely on law firm online marketing to target exactly those people who are seeking what you are offering. And with professional law firm online marketing help the hard work is taken away from you. For a law firm this is incredibly important. There are few lawyers who have the time to market their services in between time spent back and forth from the office, meetings with clients and in the courtroom. With online marketing, you can find new clients while you’re busy at work keeping your existing clients. Best of all, law firm online marketing can be very affordable with the right help. 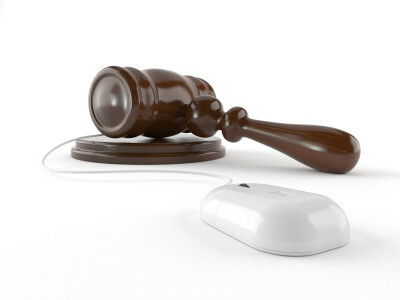 A professional pay per click firm specializing in law firm online marketing such as Webrageous can keep your costs low. We offer a range of services to keep costs at a minimum for law firms specifically. And thanks to our years of expertise in law firm online marketing we have the knowledge to achieve results while sticking to your law firm’s budget. There are a range of services and strategies that Webrageous offers to law firms for their online marketing so be sure to check out exactly how we are able to bring in new clients for law firms in this article. For more information on Webrageous and law firm online marketing in general, contact us today. The Importance of Natural Search Optimization on GoogleHow Do You Get the Best Law Firm Online Marketing?